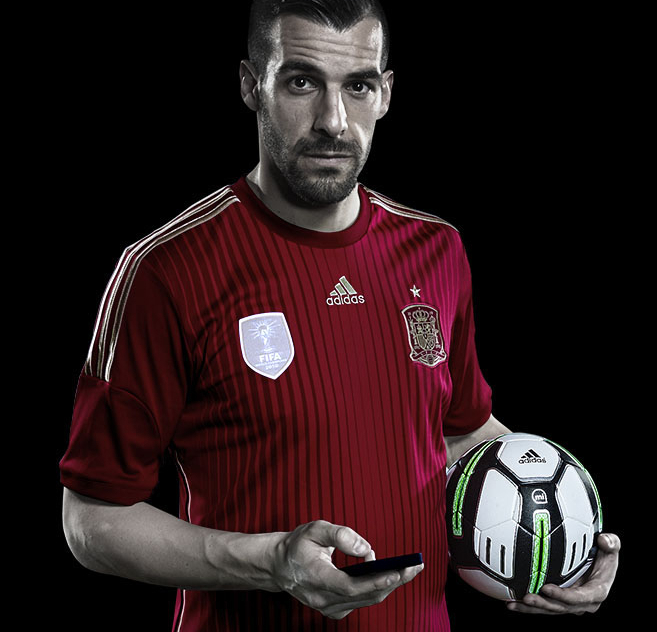 Adidas today launched the miCoach Smart Ball, a football (or soccer ball, for our American readers) that it claims can coach you to take better free-kicks, penalties, long passes, shots and corners. Inside is a small, suspended bundle of sensors that analyze the ball as it moves through the air. Adidas then combines this data with some fancy algorithms to work out where you hit the ball, as well as the speed, bend and trajectory of the kick. The technology-equipped ball then sends this information to a companion iPhone app over Bluetooth Low Energy, so you can review all of the data and surmise why you’re unable to “bend it like Beckham”. If you’re keen to develop your skills, the iPhone app also includes some training resources and a series of tutorials for nailing tricky kicks, as well as a progression mode that challenges you to hit the ball at a certain speed or with enough bend to swoop around a defensive wall. There’s even a ‘record book’ stats section for tracking your performance and improvements. With the FIFA World Cup fast-approaching, there’s no better time to grab a ball and develop your technical abilities. Free kicks and corners can be some of the hardest to improve, especially when you can’t pinpoint where you’re going wrong. The miCoach Smart Ball certainly isn’t cheap – it’s on sale now for a hefty $299 in the US and €299 across Europe – but it could be the training tool that makes all the difference for your next five-a-side game.